What’s on in the parishes of Eye, Newborough and Thorney. To filter by parish, venue, etc please click on ‘Show Filters’ and select your preferences. 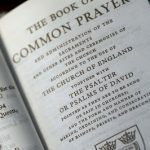 A said service of Holy Communion using the Book of Common Prayer. A Holy Communion Service using Common Worship. A Eucharistic Service sung by the Choir of Thorney Abbey. A service using Morning Prayer from Common Worship. A Family Eucharistic Service sung by the Choir of Thorney Abbey. © 2017 The Church of England Parishes of Eye, Newborough and Thorney. Hosted by Digital Christianity.